Swap your clothes, save resources and money. Free entry! (Donations are welcome). 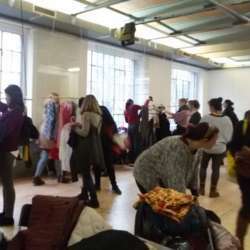 Things to swap: clothes, sportswear, jewellery, belts, bags. MAX. 9 pieces of clothing! The things you bring will be counted at the reception and exchanged with a creative currency. So you can take the same amount of pieces back home.